The dramatic rise in the use of Section 21 evictions – where tenants are evicted through no fault of their own – is making an estimated 216 households a week homeless. Now is the time to scrap them. Today, October 10th, marks World Homelessness Day: a day to raise awareness of the plights facing homeless people around the world and highlight the important work being done in our local communities. World Homelessness Day should be an opportunity to look back on a successful year of fighting tirelessly to reduce homelessness, with falling rough sleeping numbers and fewer families and children in B&Bs and temporary accommodation. Unfortunately, every single World Homelessness Day since its inception in 2010 has been marked by an increase in homelessness and rough sleeping. We’ve seen the numbers of rough sleepers more than double in the last eight years and the number of children waking up in temporary accommodation, often sharing bathrooms and kitchens with complete strangers, reach 120,000. The UK is the sixth richest country in the world, and we should never be seeing rises in homelessness like this. But under the Conservative-Lib Dem collation and the current Conservative government, we’ve seen a chaotic Universal Credit system introduced, housing benefit slashed, the number of new social rented homes fall to a record low, and vital services that prevented homelessness cut to the bone. All of this has had a devastating effect on those at risk of homelessness. But one of the biggest changes we’ve seen over the last eight years is the rise of the end of a private tenancy as a cause of homelessness. The loss of rental accommodation is now the largest cause of statutory homelessness, amounting for double the proportion of cases compared with 2010. That’s because the use of Section 21 evictions has skyrocketed. Unlike evictions due to rent arrears or property damage, Section 21 evictions needn’t involve a break in any term of a tenancy agreement. A landlord has no obligation to explain the reasons for the eviction, so they can come completely out of the blue. If a tenant receives a Section 21 notice, they have just two months to find a new place to live or face eviction and homelessness. Finding a new home, even to rent, is expensive. The average deposit now runs over £1,000 – closer to £2,000 in London – and other upfront costs can easily run into an extra few hundred pounds on top. For many private tenants, two thirds of whom have no savings to their name at all, the reality is that finding this sort of money is impossible. Even those who work can struggle to afford the cost of moving, and those with children with tighter budgets and in need of larger homes will be hit particularly hard. The outcome of all of this is summed up by the fact that over half of families who end up homeless in temporary accommodation are in work. Section 21 means that individuals and families with a good history of looking after properties, who have paid all their rent on time and even hold down a job, are ending up in homelessness shelters and temporary accommodation. We can’t keep a system that is making working families homeless with no accountability, so we must end section 21. 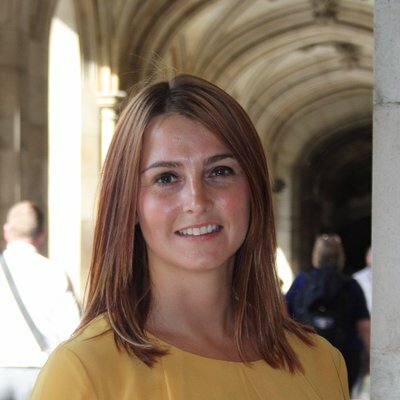 Melanie Onn is MP for Great Grimsby and a shadow housing minister.